Win your tickets to see Keith Urban from Las Vegas Weekly. Las Vegas Weekly and AEG Live bring you tickets to one of the hottest country singers today - Keith Urban at The Joint on Friday, April 23rd! Australian country singer and three-time Grammy Award-winner Keith Urban will be hitting the stage in Las Vegas this month. Although Urban released his first album nearly 20 years ago, it wasn’t until the past decade that he made his mark on American music. In that time, however, he has been honored with five Academy of Country Music Awards, an American Music Award for Favorite Country Male Artist, and the list continues to grow. His recent hits include “Only You Can Love Me This Way” and “Sweet Thing” from his newest chart-topping album Defying Gravity. Don’t miss the chance to win your free tickets to see Keith Urban Live in concert! 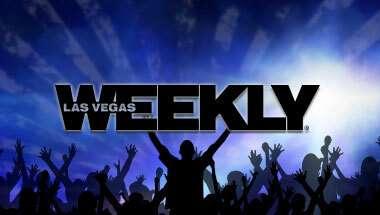 Click here to enter our ticket giveaway and view other contests from Las Vegas Weekly. Be sure to fan us on Facebook so you always stay up-to-date with the latest concerts and events from LasVegasWeekly.com and AEG Live. NO PURCHASE OR PAYMENT OF ANY KIND IS NECESSARY TO ENTER OR WIN. A purchase will not improve your chances of winning. Sweepstakes ends at 8:30AM on 4/21/2010. This sweepstakes is not open to any employees who are associated with Greenspun Media Group, Niche Media Publications, and/or AEG Live. Contest open only to legal residents of the 50 United States and the District of Columbia, must be 21 years or older to enter. One entry per person, multiple entries will disqualify all related entries. Winners will be notified by e-mail or telephone and must confirm before 5pm on Wednesday, April 21st, 2010. Prize will be available for pick up at the Greenspun Media Group offices. By providing personal information, participant agrees to receive regular emails from Greenspun Media Group. Personal information will not be shared with third/parties and/or partners. Prize restrictions may apply. Void where prohibited by law.